Development firm that formed to build the Pearl, Silver Ventures, asked the city to rezone 7.9 acres of its land to “infill development zone” which will allow a variety of commercial and residential uses like high-rise offices, apartment buildings, bars and hotels. North San Antonio customers will have an easier time getting their Starbucks coffee fix now that the retailer has closed on leases for two new stores. 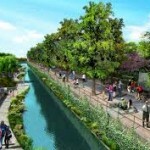 A new River Walk-style development along San Pedro Creek is moving closer to reality.The goal is to complete the first part of the $175 million project in time so Phase 1 will open as the city celebrates its tercentennial in 2018. 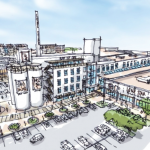 Now that the Lone Star site’s owners have brought on a development partner, plans to create the mixed-use hub the city has been waiting for are falling into place so quickly, the team has even brought on Peloton Commercial Real Estate to start building up interest for future office space at the former Southtown brewery. 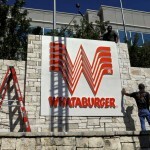 Whataburger has bought a 2.4-acre property with a three-story building next to its North Side corporate headquarters through a subsidiary controlled by company executives. The San Antonio-based burger chain bought the building at 400 Concord Plaza Dr. last month from OI Rehab LP, according to county property records. The 50,000 square-foot building is currently home to the Orthopaedic Institute. The H-E-B Market at Stone Oak (80,000 sf) recently opened at 23635 Wilderness Oak in the Far North community of Stone Oak. At the same time, Oaks Crossing, the company’s first full-service restaurant inside a local H-E-B store, also opened. 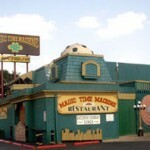 The restaurant will serve lunch and dinner, a selection of wines and Texas craft brews. The menu will feature barbeque, Neapolitan-style pizzas, hot and cold sandwiches, salads, pasta bowls, Mexican food, hamburgers and desserts. Dallas-based La Madeleine Country French Café has announced that it plans to open eight new stores in the greater San Antonio area over the next several years. 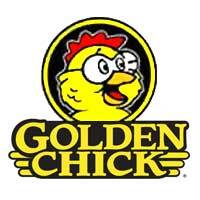 Allen Tharp is expanding the Golden Chick brand for local diners. The businessman recently closed on 34,000 square feet of land along Pat Booker Road in the city of Live Oak, on the far Northeast Side, where he will develop a new Golden Chick restaurant. 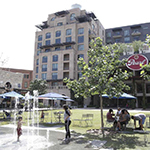 The Live Oak site marks the fifth Golden Chick deal for Tharp, according to Michael Garansuay, an associate in the retail division of United Commercial Realty San Antonio, and Tharp’s real estate broker. To date, Tharp has three stores up and running — at City-Base West and at McCreless Market on the Southeast Side; and in the city of Cotulla, which is located about 90 miles south of San Antonio. Store number four, at Loop 1604 and Potranco on the far West Side, is presently under construction, says Garansuay, adding that Tharpe also has a site under contract in La Vernia — just east of San Antonio. All told, Garansuay and Tharp have identified 16 core intersections/trade areas that hold potential for the Golden Chick brand. It may have taken a bit, but a delayed retail project in the city of Helotes is certainly gaining traction now. Tom Rohde, vice president of locally based Rohde Ottmers & Siegel Realty Services, has announced that construction will soon begin on the Helotes Town Centre. That work will include turning dirt on a new Walmart Supercenter that will anchor the project. The store, which will measure 150,000 square feet, is expected to open in the fall of 2013. The Town Centre will be located along Bandera and Leslie roads, in the city of Helotes, which borders Northwest San Antonio. In addition to the Supercenter, another 27,000 square feet of shop space and restaurants is also planned for the project. Tenants that have signed on to the project so far include Kentucky Fried Chicken, Taco Bell, Great Clips and the Cash Store. Click to read entire article: Construction to begin on Walmart-anchored Town Centre in Helotes (San Antonio Business Journal, 10-19-12). 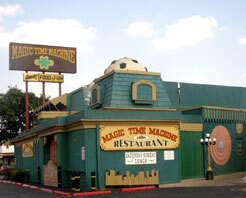 One of San Antonio’s most established names in the restaurant industry is embarking on a multimillion-dollar plan to revive some real estate on the city’s North Central Side.